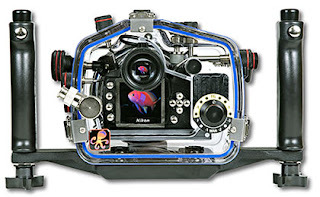 I just ordered an Ikelite housing for my Nikon D40. 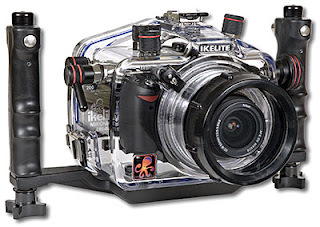 I chose Ikelite because it's my first underwater housing and I didn't want to spend too much and go high end (like Aquatica). Considering the camera costs under US$600, it was hard to justify getting a US$2,000 housing. For a first timer, it's also nice to be able to see through the housing to spot leaks early. Besides, Aquatica only plans to release their housing for the D40 late this year. The downsides of the Ikelite are that it is not as durable as a metal housing, is kind of large, and has a 60m depth limit. The housing arrives in 7-10 days. I'll only get to test it in the pool as my next dive trip is not until October. Underwater photography is a bottomless pit. Next, I'll have to invest in different lenses, dome ports, and strobes (ouch!). You can read more about the housing here. Anyone for a Wreck Penetration Course? Lightcord on the Inside or Outside?